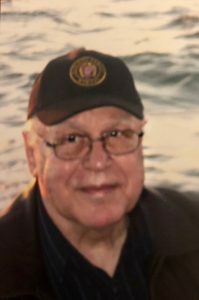 Walter Leland (Lee) Walker passed away peacefully on February 4, 2019, following a lengthy illness. Lee was born on February 19, 1933, the eldest son of Leland and Ruth (Welter) Walker. He is survived by his loving wife of 62 years, Lois (Porter) Walker, daughters Karen Praytor (Keith), Kelly Walker and Kimberly LeBlanc (Bobby), grandchildren Stephanie Old, Jared Old, Madison LeBlanc and Lexie LeBlanc, great-grandchildren Kaitlynn Old and Ryan Silva, nephew Troy Walker, niece Nikki Taylor and several great-nieces and nephews, as well as his furry best friend, a rescued Pomeranian named Bailey. He is preceded in death by his parents and brothers Robert Walker, Donald Walker and John Walker. Lee is a United States Army veteran, having served in Germany, Korea and Vietnam, as well as several bases within the United States. He was the honored recipient of many medals for his service. While at Ft. Hood, Texas, due to his excellent marksmanship, he was selected to be part of an elite honor guard burial detail. Following his Army career, Lee and his family relocated to Houston where he worked for several major construction companies, leading the construction and rebuild of chemical units within the many Houston area plants and refineries as well as remote locations throughout the United States. Second to his love for his family was Lee’s love for fast cars. He was always tinkering with cars in his spare time and restored several Mustangs and a Corvette. Even in his final couple of months, a car magazine could always lift his spirit and grab his attention. The family would like to thank Lee’s team of caregivers at Regency Village and Faith Community Hospice for the excellent care and support they provided. Visitation will be held at Crowder Funeral Home at 111 E. Medical Center Blvd, Webster, Texas on February 11, 2019 between 6:00pm – 8:pm. Service will be on February 12, 2019 at Crowder Funeral Home Chapel, 111 E. Medical Center Blvd, Webster, Texas at 11:30am. Interment will follow at Houston National Cemetery, Houston, Texas. Jim and I enjoyed our friendship with Lee. His family was a great blessing to him in the love and devotion he enjoyed from “his girls,” Lois, Karen, Kelly, Kimberly. Thank you for your service and RIP. My sympathy and prayers to all of you during this time of grieving and loss. May the blessings from being loved by him, be with you always. Praying your memories bring you comfort & peace. Lois and Family: Please accept our sincere condolences. Our thoughts and prayers are with you and your family. We thank Lee for his service, and we pray for Kimberly and Lois, and the rest of family during this time of great loss.